I love the part in our reading from this week about Moses coming down from meeting with the Lord for the last time on Mt. Sinai. 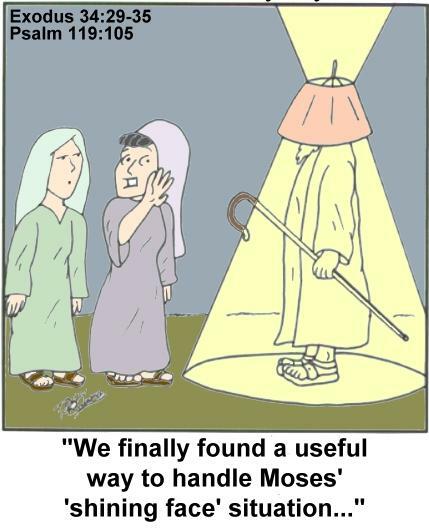 It says in Exodus 34:29 that when Moses came down, “he was not aware that his face was radiant because he had spoken with the Lord.” In fact, we’re told that soon Moses had to start wearing a veil over his face after each time he met with God because the people were afraid to come near him. Now, we don’t want to scare folks away, but it seems to me that we ought to long for at least a little bit of what Moses had going on with the Lord. I mean, I know he was Moses and all, but don’t you want your face to be radiant with the glory of God? Don’t you want the world around you to see something bright and beautiful when they look at you? No secrets here about how this happened to Moses – it was when he had been speaking with the Lord. No tricks or shortcuts for us either. Our faces, our lives will be radiant with the presence of God when we have been spending time with Him, personally and in community, when we allow the Spirit of God to fill us and flow from us. Oh to be a radiant people – a people glowing for God. May the Lord continue to transform us into his likeness as we draw near to Him!